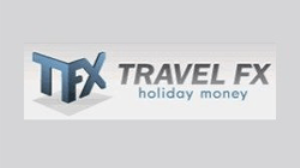 Apart from our organised integrated Sports Travel Packages that are becoming more and more popular, Atlas Group Travel are also aware that at certain times our Clients also book family holidays or even short breaks away and can arrange these types of holidays themselves. With this in mind we have introduced this new section on our website offering our Clients a 'One Stop' solution for those all important 'Holiday Extras', such as Car Hire, Visa Service and Travel Insurance, all in one place. This section of our website is an ongoing process and we will be adding new facilities regularly, including services that will enable you to easily book - Hotels, Flights, Airport Parking and many other additional travel options from tried and trusted suppliers. Even if you have already booked one of our Supporters Packages, this section of our website will also be useful. For instance; get up to date destination information provided by the UK Government, find out by the click of a button if you require a Visa, get a quote for travel insurance or even book your own hire car to add to one of our packages. So please bookmark our website and visit us regularly for any updated services that we will be providing. 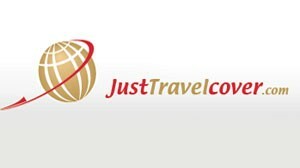 Get an instant Travel Insurance Quote On-line. Compare multiple quotes with just one click! * Our dynamic search engine will compare multiple insurers in seconds. * No upper age limits. * 98% of Medical Conditions Covered. Atlas Group Travel, in partnership with CarTrawler, can now offer its clients a unique 'Car Hire Booking System' providing a wide selection of vehicles in real time from over 1,000 car rental agents at 30,000 locations in 174 different countries. That’s more cars, in more cities, than you will find anywhere else in the market and at the most competitive prices! If you are planning a trip abroad, it is important to check whether a Visa is required for the country/s you are planning to visit: and Atlas Group Travel in conjunction with CIBTvisas have made this process as easy and convenient as possible. CIBTvisas are a UK based company that specialise in Visa applications; and simply by using the menu opposite provides information as to whether a visa is required or not for the particular Country/s that you plan to visit. 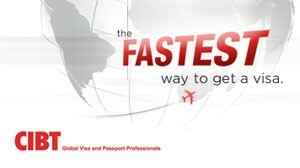 If a Visa is required CIBTvisas can also process the application on your behalf; the process being initiated by clicking on the 'Get a Visa' Tab when it appears. Inter City offers quality point to point bus transport on modern vehicles at economic fares nationwide, with fares starting from just $1 (plus booking fee) on all services. All Inter City busses are equipped with free WiFi. Together Inter City and Great Sights connect to more than 600 destinations nationwide, with over 130 services every day. Through this link not only can our Clients pre-book transfers between New Zealand Cities, quickly and on a secure website, but Inter City also provides a service to book day trips to popular New Zealand Tourists Attractions. Virtually 'a one stop shop'. 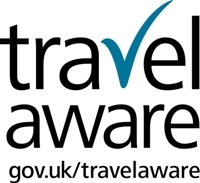 “For the latest travel advice from the Foreign and Commonwealth Office check www.gov.uk/travelaware and follow @FCOtravel and Facebook.com.FCOtravel’’. Stay safe and healthy abroad by taking some simple precautions.